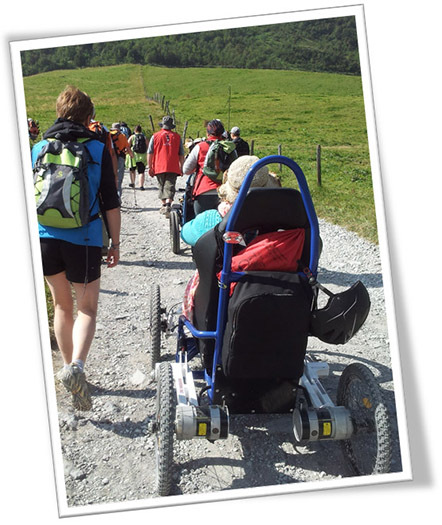 The La Ruche La Salle Centre is easily-accessible to people of reduced mobility. Ramps, automatic doors, lift, automatic lighting. We have 2 comfortable 15m2 double rooms each one with a specially adapted bathroom: wheel-in shower, toilet, washbasins. We are at your service all year round to adapt your stay in partnership with local professionals. Don’t hesitate to ask for advice from our partners, they will best help you in the organisation of your activities.